We begin with exploring Kathmandu Valley Cultural World Heritage Sites. 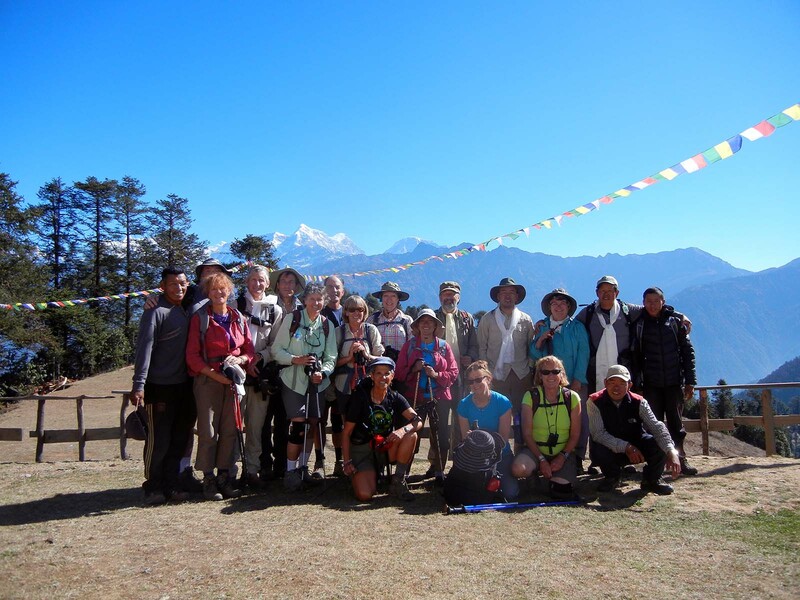 Our trekking features visits to traditional Sherpa villages, monasteries, local schools. 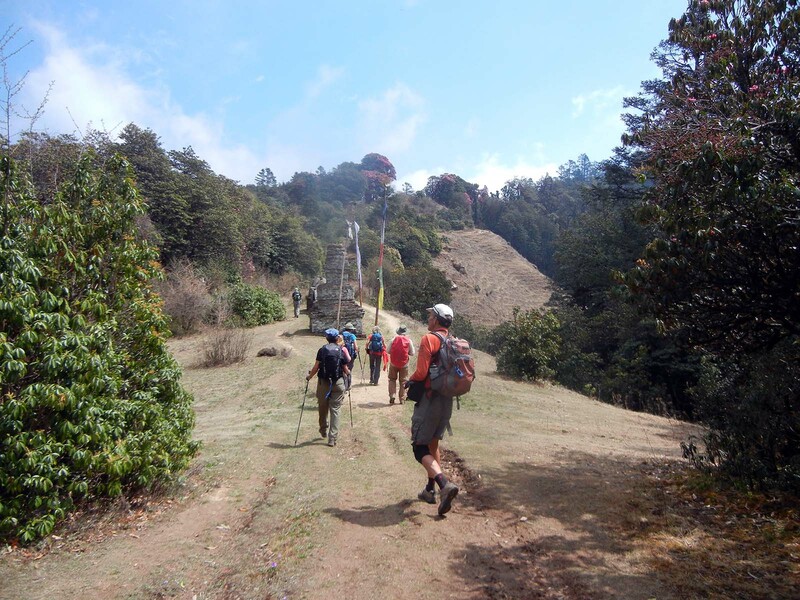 The high point of the trek is at Pike summit that is known as the best place to see the spectacular panorama that stretches across nearly the entire Himalaya range from Kanchenjunga in the East to Dhaulagiri in the West. We will travel by road eastward to Jiri. From here, we will hike along the old Everest trail to Likhu Khola. We will then hike southeast through terraced farmlands, villages, forests and open spaces to Pike Viewpoint. Along the way, we will see the traditional lifestyles as we trek through a variety of Nepalese villages with various ethnic groups nestled in the spectacular Himalaya. Lhamuje and Pike form a long ridgeline above many valleys with streams and rivers. This is a new trekking destination situated in Okhaldunga (northwest highlands) and Solu Khumbu (central southwest) Districts. 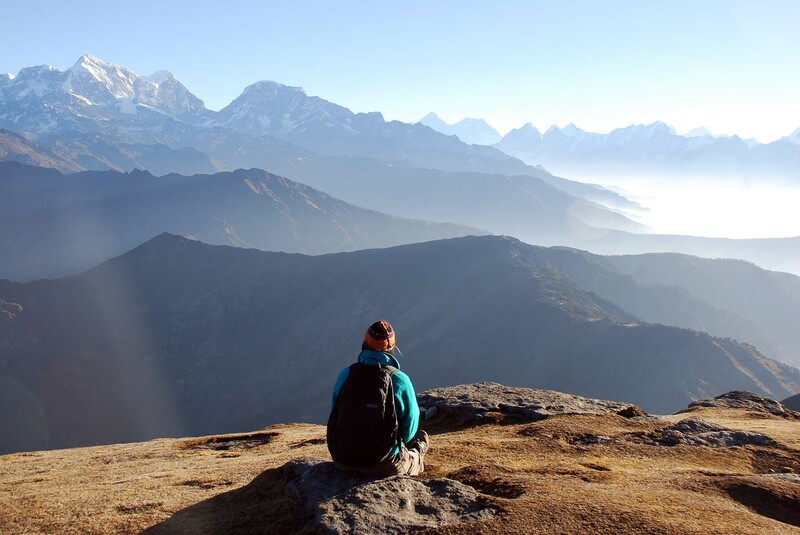 We trek through the foothills of the spectacular Numbur Himal, which also has one of the best viewpoints. This lies southwest of Mount Everest and adjacent to the old expedition route south of Lhamjura pass. The summit of Pike at (13,776ft) above sea level gives you an ample opportunity to enjoy stunning Himalayan views and scenic valleys. Standing on the summit of Pike on a clear day, you can see Mount Everest, Lhotse Shar, Nuptse, Ama Dablam, Kangtega, Thamserku, Kusum Kanguru, Mera Peak, Makalu, and Kanchenjunga far in the east, Numbur Himal and Karyolung above Dudh Kunda (closest to Pike), Ghaurishankar, Langtang Lirung, Ganesh, Manaslu, Annapurna range and Dhaulagiri in the west. 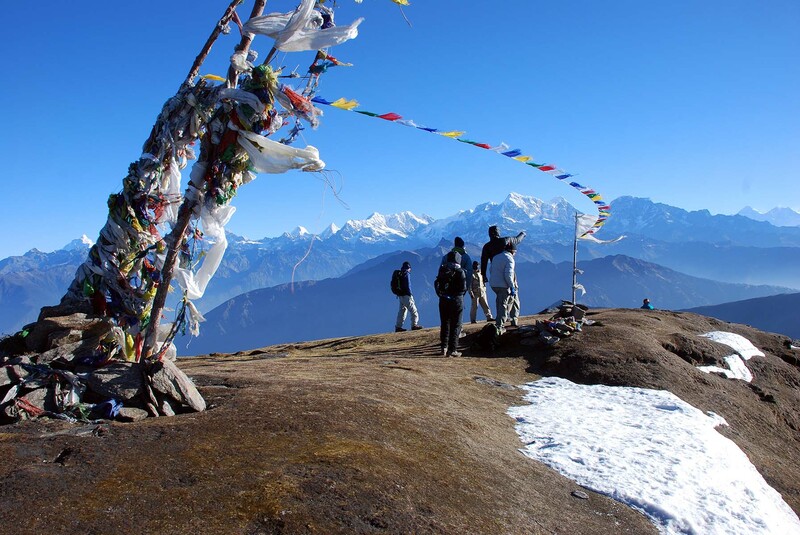 No place in Nepal, but Pike summit can promise you the grandeur of the panorama of almost the entire Himalaya of Nepal. The 13,776 feet Pike viewpoint is mostly grassy and some exposed rocks adorned with some Buddhist prayer flags. In the summer the Yaks and Naks graze here. In the month of July/August each year, the local people settled in the valleys hold a celebration on top of Pike. During this festival, all the locals come here in their finest attire with much fanfare. The blessings of the festival and the meaning it carries is to thank the god of this mountain, the earth, water and all the sentient beings for helping the well being of the people in the area. Trekking in July is not suggested unless you love being in the nature. July is the peak of monsoon where leeches greet you, muddy and slippery trails, cloudy and rainy weather is the condition. The beauty of this weather is that the entire upper hill region is filled with animals as the locals bring their animals during the harvest season. The entire mountains and forests are so lush green and beautiful. Flowers and butterflies come to life. The surrounding valleys of Lhamuje (aka Lamje Danda) and Pike hold some of the most extensive Sherpa settlements and the hub of their culture, which has not been explored because the region is off the main trekking route to Everest. Trekking down the valley an hour or two in any direction will lead you to Sherpa villages where most locals have never seen outsiders. Visitors will be welcomed with traditional Sherpa hospitality. Along the trek, we’ll visit Kingurding Monastery, Phapre Monastery, Tolu Tharling Monastery, Tapting / Jhapre Monastery, Ngaur Monastery, Golela Monastery, Thupten Chholing Monastery, Taksindu Monastery, and Chiwong Monastery and local homes to see the Sherpa way of life. The spring trekking in the region is extraordinarily beautiful with blossoms of Rhododendrons in various colors of red, purple, pink, magenta, and white while other colorful spring blooms complement the scenery. 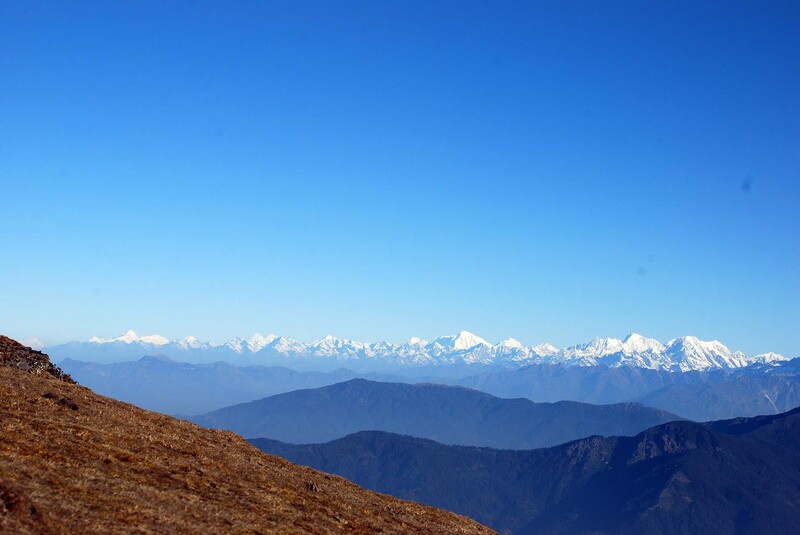 Fall treks offer the clearest weather with spectacular Himalayan panorama. If you are looking for a cultural trek and enjoy traveling in the less travelled trails without modern amenities, where you can see traditional Sherpa villages and monasteries that has not yet been influenced by modernization, then this is a trip to consider. The trekking route I have created to be is based on my personal experience and vision for the region as a local boy of the area well-conditioned by the winds of Pike. Pike viewpoint has six plus routes to trek there. 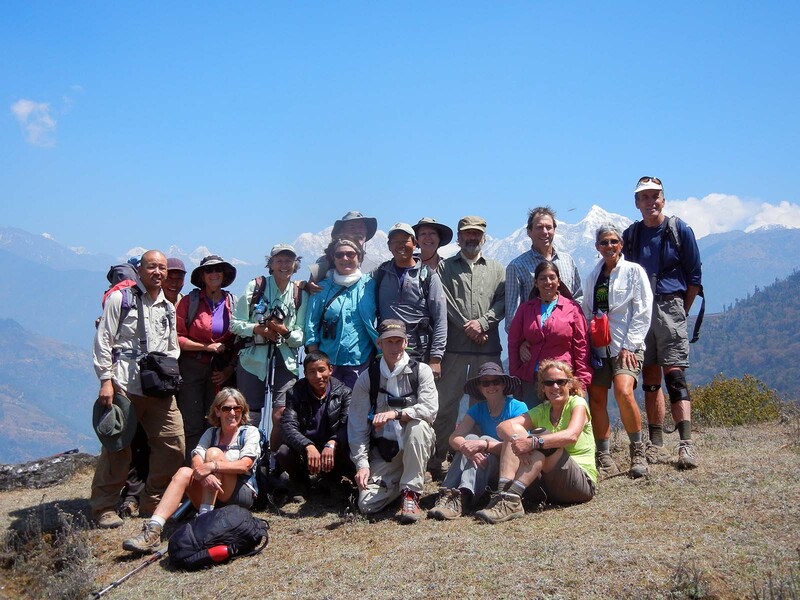 I have been promoting trekking to this area for almost three decades and have operated a few successful trips. Check in and remainder of the day at leisure. Evening: trip briefing and welcome dinner served at the hotel. Overnight in hotel in Kathmandu / 2 nights. Breakfast will be served at your hotel, and then depart to visit various Cultural World Heritage Sites to see ancient Nepalese arts and architect. This is an easy day which allows you to overcome your jetlag after a long flight. Afternoon return to hotel and remainder of the day free. Early morning breakfast at hotel and a scenic 8-9-hour drive to Jiri trailhead (alternatively we drive to Shivalaya riverside camp when the road condition if favorable). We will picnic lunch en-route, arrive Jiri, and check into lodge. Fresh and hygienic dinner is prepared by our trek cooking team and served. Today’s trail in the morning part is gradual uphill and then downhill until we reach to Shivalaya at Khimti Khola (river) trail junction 5,806ft if we start the trek from Jiri. We will take a short break and then trek uphill until we reach to our lunch stop en-route. After lunch, the trail is uphill until we reach Chyangma La (pass 8,889ft) village from where we can see beautiful views Number Himal, Karyolung and Pike. Note: If we are able to drive to Shivalaya, we will trek to Chyangma for lunch and trek to Bhandar Village for overnight. Overnight sleep in the lodge. Hot shower is available at the above lodges. Breakfast and trek downhill to Likhu Khola. Along the way, we will see Mount Numbur Himal range peaks above the lush green Likhu River valley. Today’s trail starts with downhill to Likhu Khola (river) where we will cross the suspension bridge and then a small uphill passing through scenic and sparsely inhabited area with terraced farms until we reach our evening campsite. Breakfast and trek to Kingurding Monastery. It is mostly uphill until we reach the monastery. We will hike through sparsely inhabited area with farmlands and scenic landscape. We will take a lunch break en-route and continue hike until we reach the campsite. Note: The monastery has been totally ruined by April 2015 earthquake. However, we can visit the ruins and enjoy great views from the site. 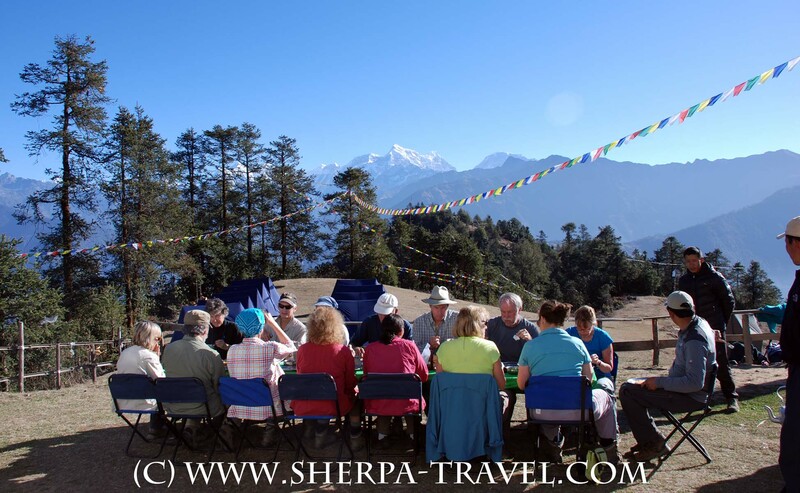 Breakfast at our camp, visit the Kinhurding Monastery and trek to Demba danda for a spectacular view of the Himalaya including Mount Gaurishanker (7134m / (23,406ft), Numbur Himal and beyond with scenic vistas. We will then continue our trek to Phapre (Wangdowa’s village). We will have lunch break en-route and continue hike to Phapre for the evening. After lunch, hike through villages and farmlands enjoying beautiful scenery. On arrival, be greeted by Wangdowa’s relatives and friends. Overnight in the tent for three nights. Breakfast at camp and visit Pikey Phapre Primary School in the village. Observe village school classes in session. We will see school children and village people cultural program. Lunch and dinner served at our camp dining tent. This is also good day to catch up with some basic laundry preferably in the morning. Breakfast at camp and walk to see the micro hydro power plant that lights Phapre village. This micro hydro power plant turbine with the capacity of producing 2.50 kilowatt of electricity was burnt out in the monsoon of 2013. 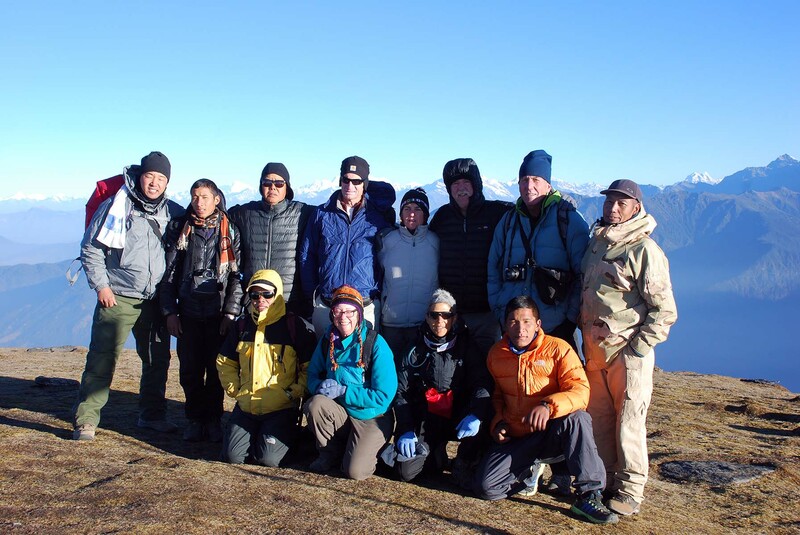 Sherpa Travel Inc. and friends in the Eastern Sierra in California helped to fund for a replacement turbine with the capacity of producing 3.00 kilowatt of electricity for the village in the winter of 2014. The electricity is produced from 5:00PM to 5/6:00AM and provides electricity to 56 houses in Phapre Village. The light helps kids to study and the parents do the daily household chores. Next, we will visit local farms to observe how people here grow crops and visit homes to taste some local delicacies. Along the way, we will visit the village monastery. Remainder of the day is for relaxation. Lunch at camp. Breakfast and trek a gradual uphill through farmed area and dense forest. Part of the trail goes through big oak, rhododendron, mixed deciduous forest. Fresh lunch served en route, dinner at camp and overnight camping. Early wake-up to see sunrise over the Himalaya from Kanchenjunga in east to Dhaulagiri in the west. Breakfast and trek to Pike. Along the way, enjoy the Himalayan panorama and scenic views. We will picnic lunch en-route and overnight camping. Trail passes through summer pasture area, a vast open forest and hills, above tree line and through forests of Rhododendron, fir, hemlock, and others. We will trek through a scenic and beautiful trail to Pike campsite. Majority of today’s hike is easy except the last part close to the campsite is uphill for about 45 minutes to an hour. This part can be chilly if there is wind and cloudy. So, pack your warm jacket in the day pack today. Wake-up early and trek to Pike summit viewpoint 13,776ft. 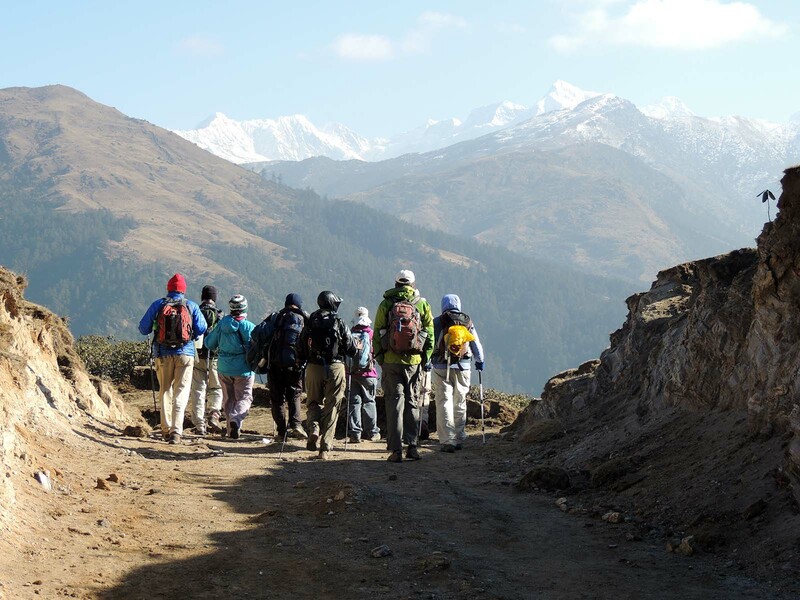 Today’s Himalayan view and scenic vistas will be the highlight of this trek. 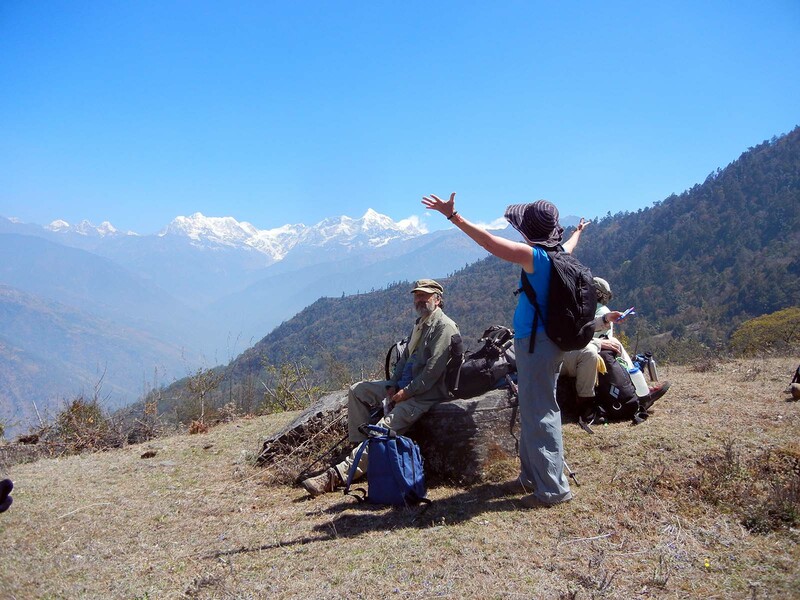 After we enjoy the great views of the Himalayan scenery, we’ll continue trek downhill to Jasya Banjyang, where we’ll have hot breakfast and then continue our trek to Junbesi, a riverside village with lodges on the old Everest trail. We will stay in lodge for two nights. Breakfast at camp, and then we will hike to Thupten Chholing Monastery. It is one of the largest and most active monasteries in the region. Most of the monks and nuns are Tibetan refugees as well as local Sherpa and other ethnic groups. We will trek to visit the monastery and trek back to lodge for lunch. Afternoon at leisure. 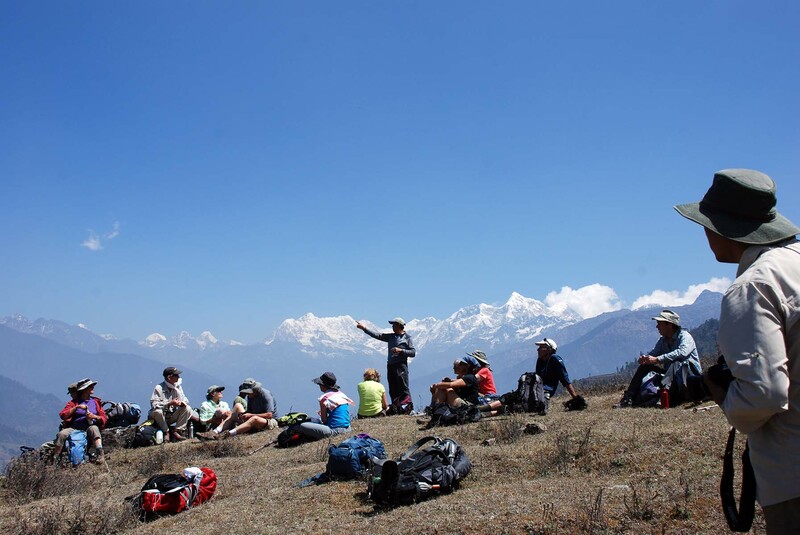 Trek on the scenic old Everest trail through sparsely settled area of Sherpa villages, pastureland, forests and farms. Overnight sleep at the lodge. 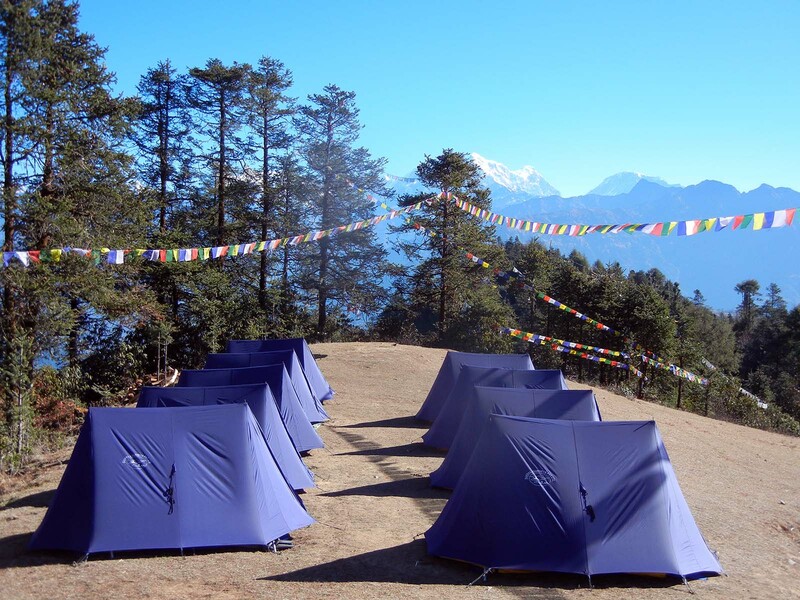 We will enjoy the scenic vistas with sunrise over the mountains, eat breakfast, visit the revered Taksindu Monastery, and walk to the helicopter pad and enjoy a scenic flight to Kathmandu for about 40 minutes. Arrive Kathmandu and transfer to hotel. Remainder of the day is at leisure. Evening- Farewell dinner will be served at the hotel or at restaurant outside the hotel. Overnight at hotel in Kathmandu / 1 night. Breakfast served at the hotel and a complimentary transfer to airport is provided for your next destination flight connection. Nepalese staff insurance, wages and salary, transportation, lodging, food, and high altitude equipment where applicable, all relevant sales taxes including value added tax in Nepal. Note: Please note that the above itinerary is provided as a guideline to plan our trip. Things may not happen exactly as planned as weather and local conditions can play a role in operating the trip. We will try our best to provide the best trip experience to our clients following the itinerary program. Detailed day-to-day itinerary will be provided to trip members going on the trip.